The Glendan Park Stud was established in 1989 by Felice, Maria (Alvio’s parents), Sam (Alvio’s brother) and Alvio Trovatello. The Glendan Park Stud has been managed by Alvio since 2001. Foundation breeders included 50 females from Ballina and Lowanna dispersals and over the years females from studs including Widgiewa, Bolong, Gorian, Zum Park, Llanglothan, Dunoon, Yarram Park, Coora and Injemira were also added. In 2004 Poll Herefords were introduced, these were sourced from Llandillo, Bowen, Tycolah, and later Burando, O’Sullivans and Charnock. We are currently running 180 stud breeders. Over the last 25 years, AI & ET has been used to “fast track” our genetic gain. We believe our herd is big enough to verify genetic gain, and at the same time small enough to focus on producing the right genetic package. We have sold bulls into Stud and Commercial operations over the last 25 plus years, and been fortunate to have record selling bulls at the Hereford National Show and Sale at Wodonga. Our bloodlines have been used with success in leading Australian & New Zealand Studs. 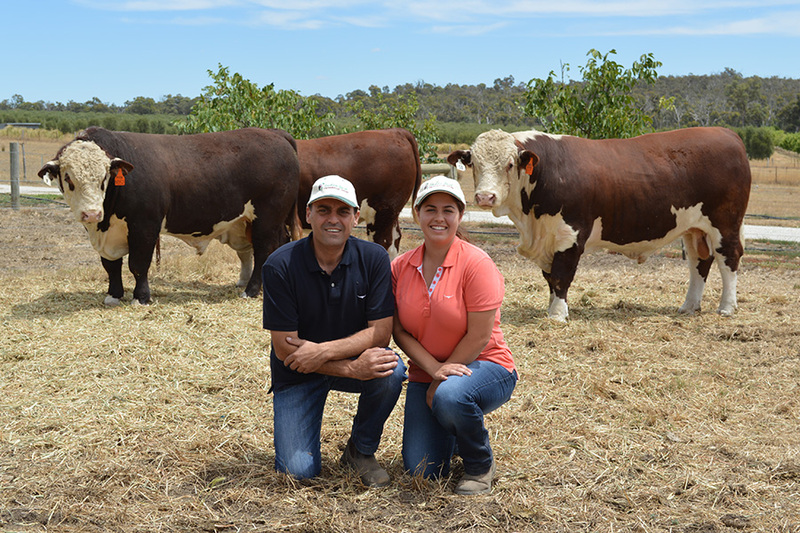 We are also proud of the fact that our bulls have been breeding well for some of the leading commercial Hereford herds in Australia. We welcome your visit any time, please contact us to make arrangements.